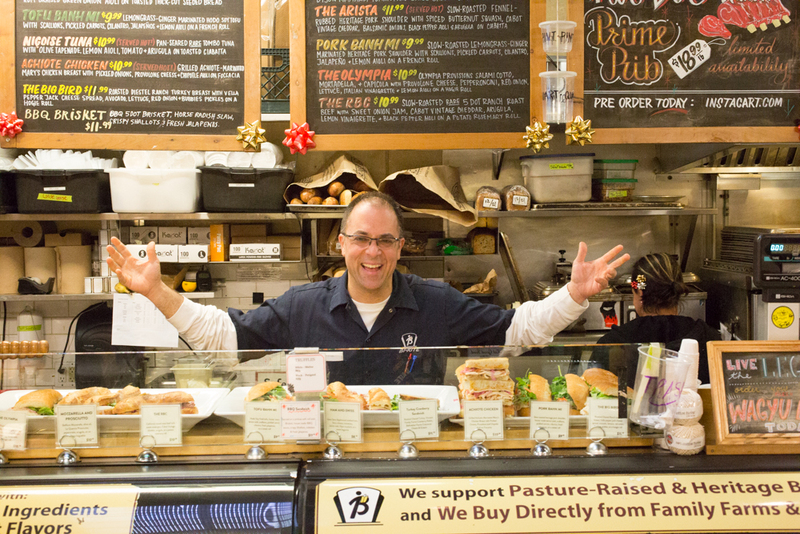 What sets Bi-Rite apart from other grocers is their firm belief that food is meant to bring people together. The mission of Bi-Rite, as long as it has been in the Mogannam family, has been to "create community through food." Eighteen years can bring a whole heck of a lot of change. 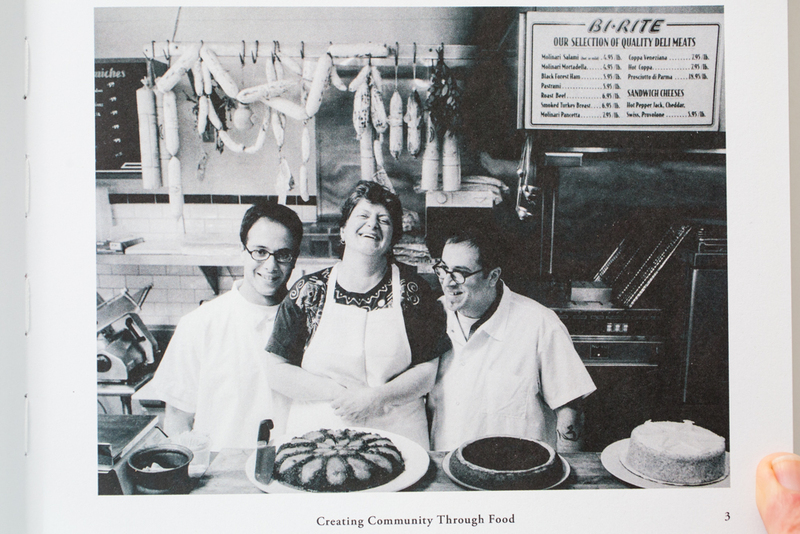 In 1998, I photographed Sam, Raph, and Mama Mogannam, family owners of Bi-Rite Market for Bon Appetit magazine. Just a few months ago, we met in the staff/test kitchen at the market, which Sam had built recently to provide his staff with a great meal at every shift. Bi-Rite Market has been a Mission District institution since it opened in 1940, and it has been in the Mogannam family since 1964. What was once a neighborhood bodega run by brothers Ned and Jack has matured into a nationally recognized family of sustainable businesses, with two neighborhood markets, a creamery, a farm, a catering operation, and their non-profit 18 Reasons, a community cooking school which empowers their community with the confidence and creativity needed to buy, cook and eat good food every day. Bi-Rite's big shift from beacon of the neighborhood into beacon of sustainability came when Sam and Raph took over from their father and uncle in 1997. Sam's background was as a chef/owner of a restaurant in downtown San Francisco, and he brought that same restaurant ethos to the market: treating customers like guests in your own home, stocking only the highest quality cooking ingredients, and installing a full kitchen to offer, a novelty at the time in San Francisco, restaurant quality food for take-out. An intimate neighborhood market became even more intimate, meeting not only the basic needs of its community but also the emotional and social needs of everyone who supported it. And this investment in the community lead to outstanding returns: the staff grew from 25-30 people in 1999 to currently over 300 employees. Featuring McFarland Springs Trout from a previous story. 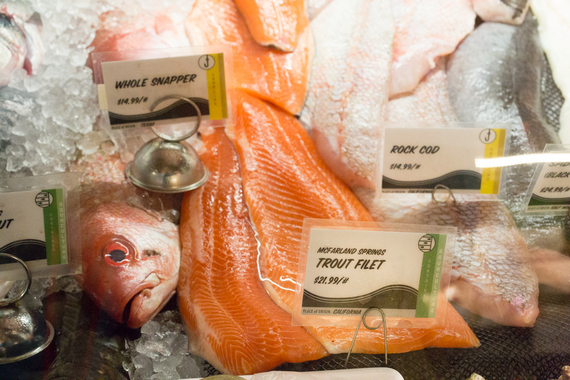 What sets Bi-Rite apart from other grocers is their firm belief that food is meant to bring people together. The mission of Bi-Rite, as long as it has been in the Mogannam family, has been to "create community through food." That means educating people about their food and feeding them food that is not only good for them, but also good for the farmers who grow it and the planet that nourishes it. Bi-Rite's private label is called Public Label because it's meant to be as transparent as possible. Sam feels too many private label products don't give enough information about who made them, where they were made, how they were made, and what ingredients were used. Food has a story, and Bi-Rite is devoted to sharing that story and creating food that tastes great. It's how they build trust. One of the best food stories Sam shared with me was about Bi-Rite's relationship with Oak Hill Farm in Sonoma. 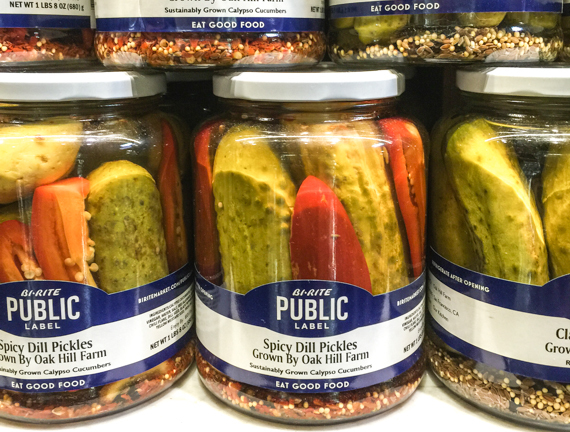 Bi-Rite already had a relationship with Oak Hill, and when Sam approached them about his desire to make pickles, they jumped at the opportunity, growing crunchy Calypso cucumbers on a half-acre set aside just for that purpose. The pickles were so good Oak Hill bought some for themselves to sell at farmers markets. Bi-Rite is also taking on the issue of food waste. About 40% of all food produced in America is wasted. Much of it goes into land fills, where it turns to methane (causing more green house gases), but often it is cheaper for farmers to plow crops under, or use them as pig feed. Bi-Rite covers the costs of farmers like Andy Griffin of Mariquita Farms when his cauliflower over grew, and was unsellable to restaurants. The support of Bi-Rite allowed Andy to increase his crop yield from 65% to 80% for that particular crop, increasing his profits. Sam is passionate about supporting farmers, and part of his support means getting his staff involved with farming on the Bi-Rite farm in Sonoma. 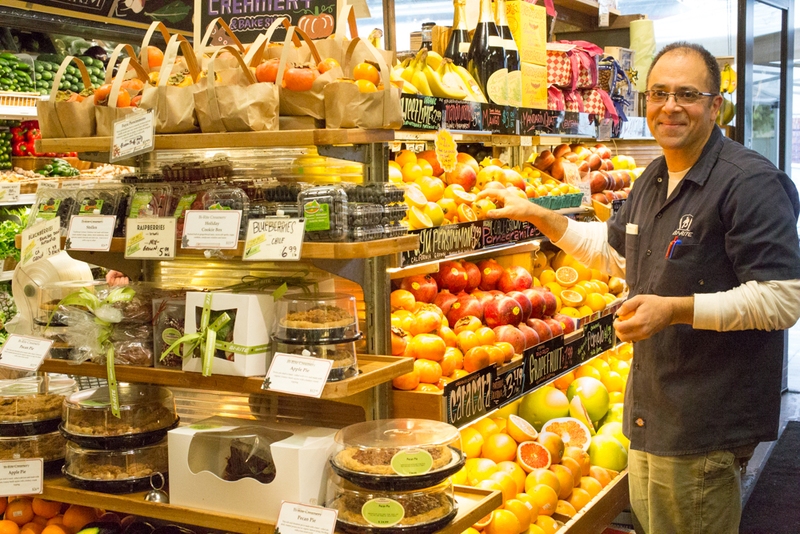 He believes that as a grocer, their role is to feed, but also to teach, and part of being a great teacher is to always be learning. He explained that: "farmers work hard and they don't make a lot of money. Most people take farmers for granted. It isn't until our staff really get in there and experience what it's like to drop a bunch of seeds into soil, to nurture them through unpredictable weather that can disrupt or destroy the plant at any point in the growing process, from sprouting to flowering, to fruiting to ripening, to harvesting to sharing it to eat with friends and family. This takes on a whole new meaning of know where your food comes from. It's simply magical." Sam looking towards the sky, searching for the right words, "And it takes time. And it takes someone who's totally committed and totally connected to the land. I just feel it's our responsibility to teach that -- to share those stories and to sell the fruits of their labor at a fair price so that we can increase the value, appreciation and longevity for our farmers".